When will games get more social & personalized content? I believe that social fatures and personalized content will play a very big part in for the gaming experience in the next couple of years. Today many instant games just opens up in a new window when you play them with no content around it. To make the gaming experience much better we need to add relevant content. In my concept design above (done for a presentation a year ago) every game has its own “game home” where there are relevant content on the page. 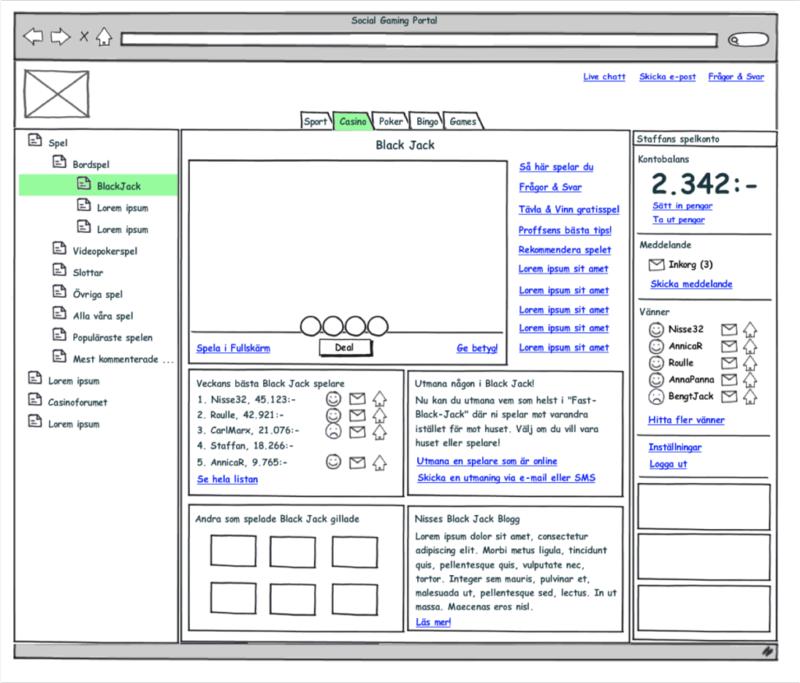 The game can be played within the page or in full screen. These are just examples of content, there are many other things you could add.